Choosing a proper wedding gift can prove to be very challenging. Usually there are so many guests that it seems impossible to pick something unique and leave a lasting impression. We’ve all heard nightmares of newlyweds getting so many similar items that most end up buried in a closet somewhere. That’s why a personalized gift is ideal for such occasions. Even after many years it still evokes warm memories from the happy occasion. Even if it`s a small item, the thought behind the present and the extra effort make it a lot more valuable. Here are some great ideas for personalized wedding gifts that are sure to give you an edge over the other guests. Sometimes the simplest present can turn out to be the best one. Putting carefully selected photographs of you and the newlyweds on a stylish candle is a perfect way to show your appreciation and provide a long lasting memory. 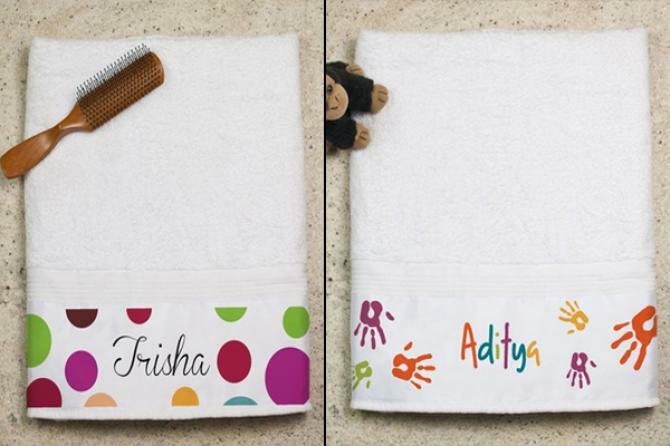 A set of matching towels with the couple`s embroidered names is a very nice twist to a classic gift. Plus, they won’t have to wonder which one is whose. 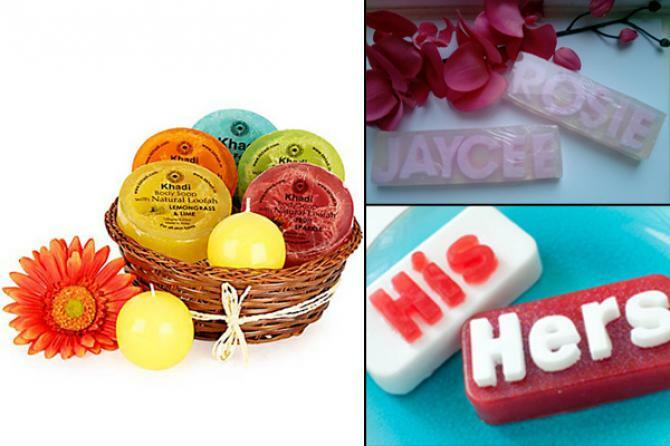 Getting soap bars customized with names is quite easy and can be done online in just a few minutes. You can also choose specific ingredients and smells to truly make the gift unique. 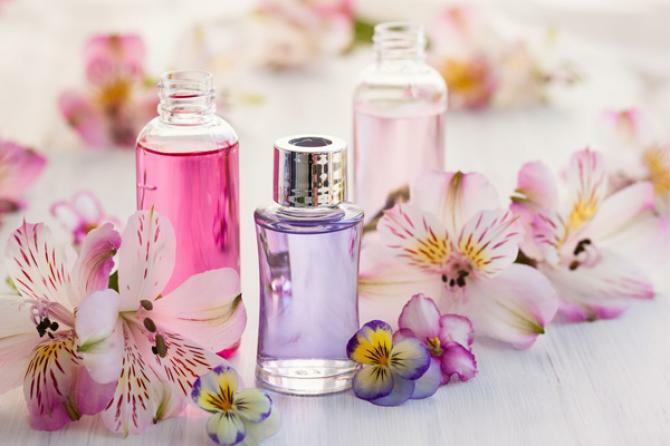 Many luxurious perfume stores offer the service of crafting a customized fragrance based on the customer’s input. 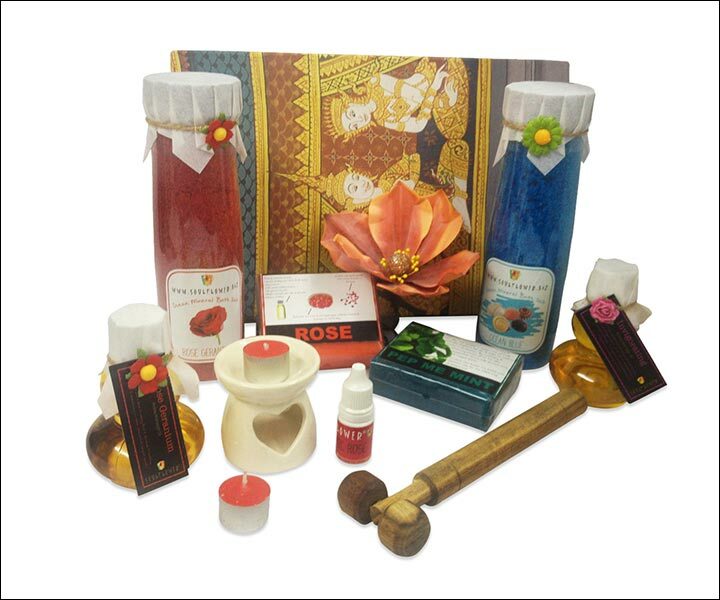 Inquire about the bride and groom`s favorite fragrances and surprise them with this thoughtful gift. Wood engravings always look stylish. Get a nice wooden box and send your wishes to the new family. Later the box can be used for storing jewelry while also reminding the new couple of your wedding wish. A personalized keychain is a simple yet useful present that will remind the couple of you each time they take them out of their pockets. For a more personal and luxurious gift approach, you can choose one of those beautifully crafted handmade table centrepieces, a gift that will be remembered and discussed each time it’s set on the table. Furthermore, the plates can be further personalized with a special message to the celebrating couple. 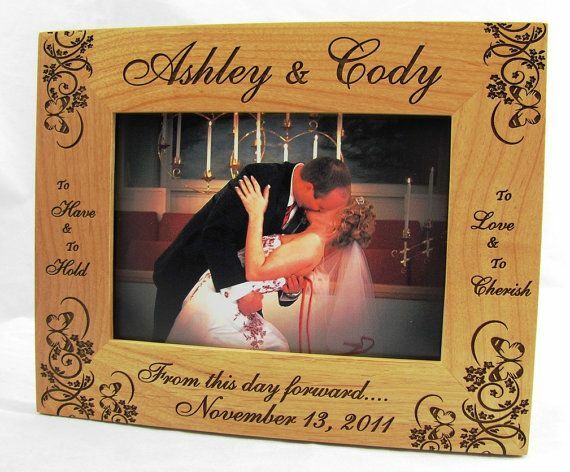 Photo frames can be boring or interesting, depending on whether they’re customized with a message. Get creative and choose a unique quote or message for your friends. Not every present has to be practical. Some things are just fun to look at. This is a great reminder of the first steps in the couple`s early wooing period. Do you know what time it is? It`s time to remember your wedding and think about all those great memories from that special day. A personalized gift doesn’t have to be limited to a nice looking or useful object, it just has to show your personal approach and deeper involvement. A nice spa therapy for the young family certainly does that. Champagne is considered among the most romantic gifts, but a personal message makes it even better, especially when it’s printed on golden foil and features a great design. Add a set of champagne flutes as well. The groom and bride will need something to hold all the flowers in, so why not be the one to offer them the perfect solution. This nature-inspired vase is a perfect medium for your greetings and wishes. Get LEGO figurines and make them look like the newlyweds while achieving a super original present with minimum effort. Just write their names after that and you’re all set. These stylish passport holders are the ultimate gift for a husband and wife that love travel and exploring. And practically speaking, there’s probably a honeymoon coming right up. Are the newlyweds avid garden party enthusiasts? These customized jars with the couple`s names on them can sure come in handy. 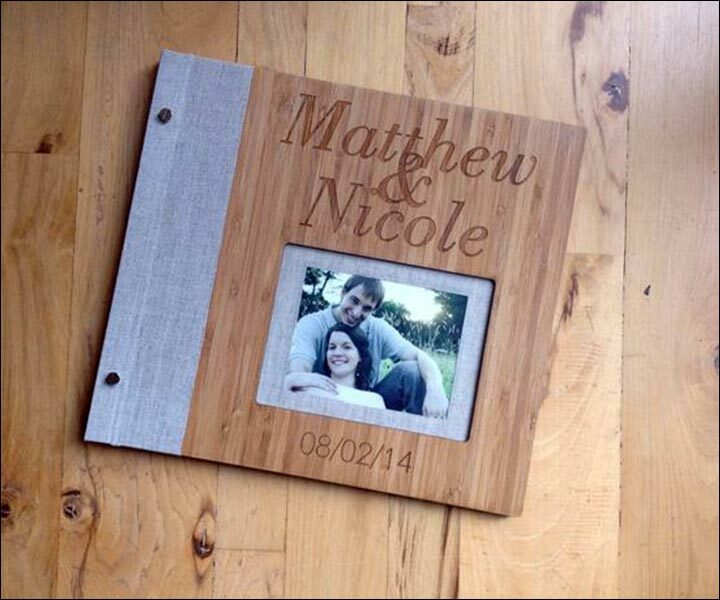 Nothing is set in stone, except maybe your heartfelt wedding wishes and this customized gift. With this personalized message that can be placed anywhere in the newlywed’s home, everyday can feel like a wedding celebration. Presenting a dinner voucher for a nice restaurant is a great present for when the family doesn’t feel like cooking or eating at home. If you want to truly make it into a culinary adventure, you can make it a voucher for a number of dinners at different places. If your budget is on the higher side you can get personalized matching gold bracelets or necklaces, with the bride`s and groom`s names written on them, they’re certain to love it. This can be a truly special and personal gift, especially if you’re very close to the couple. 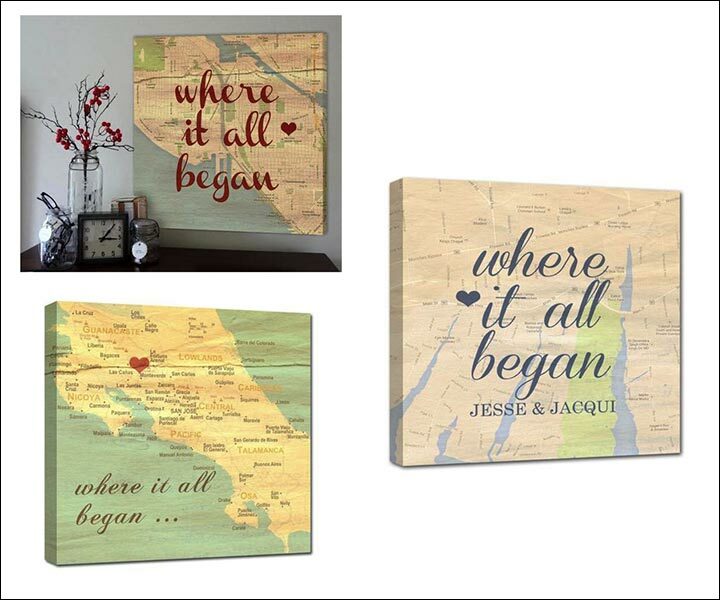 Give them a customized map of the most important events that led to their wedding. Help the newlyweds spend a relaxed and dzen first night as a family with a fine selection of romantic items such as candles, massage oil and bath salts. It is the effort you put in that makes a gift really personalized. Find a nice book and customize it with a photo of the newlyweds and collect quotes, autographs and photos from the wedding to really create something special that they can revisit and enjoy. Caricatures can make everything more interesting. 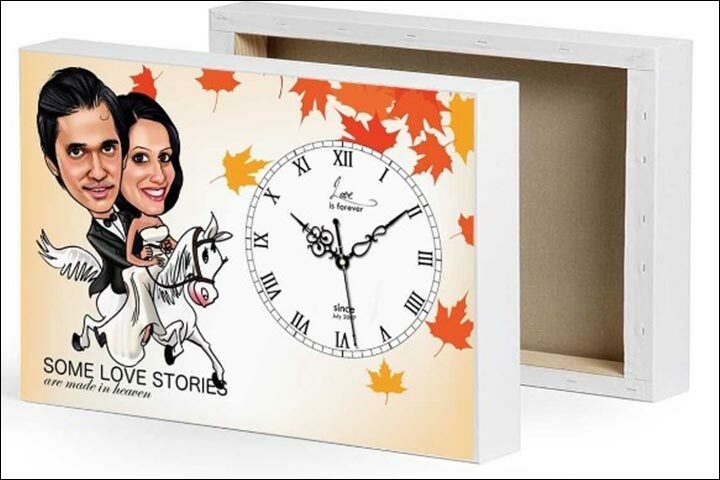 Imagine the couple`s excitement and smiles when they see their own faces caricatured and placed on a clock. 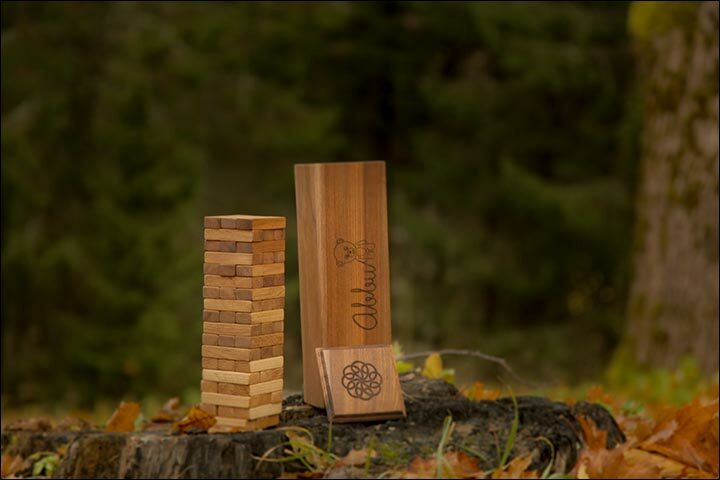 Did you know you can get the game of Jenga customized? Get the newlywed’s names printed on the box and provide them with an ideal entertainment for a lazy Friday night. Congratulate the Newlyweds from Us! Hopefully you’re now more prepared to choose a wedding gift that will leave the groom and bride talking for years. We’ll be happy to hear from you if you have any suggestions or comments, so please feel free to drop us a line. Don’t forget to let us know how the present was received. 15 years ago, Anna started collaborating with a heaven of the fine dining industry stars (such as Gordon Ramsay and Alain Ducasse) earning her experience and reputation in the art of fashioning a bespoke “gift box” for the meal. In the Food and Beverage industry, her company stands out as a leader in bespoke dinnerware design and has adorned some of most unique hotels and restaurants around the world. Anna has launched a home accessory collection: AnnaVasily. Made with love, her objects create those magic touches that make a house, a home: we call it “Magic in the Making”. 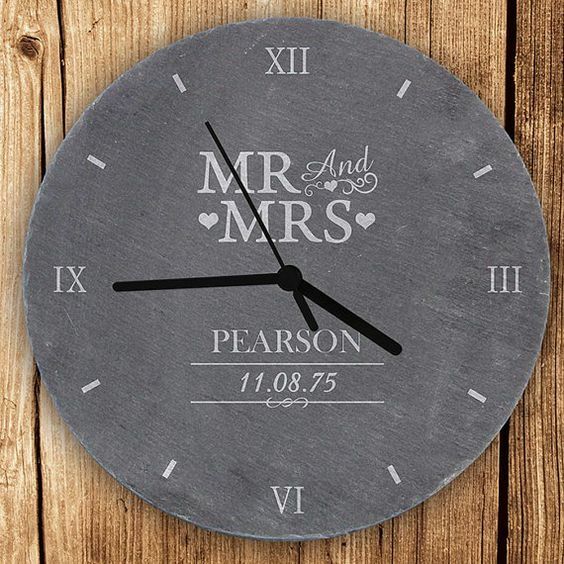 Unusual Wedding Gifts They’ll Actually Love! As a tableware designer, my objects have adorned the most unique hotels and restaurants around the world. Hotels such as the Ritz in Paris or the Savoy have staged memorable experiences with my objects.  My unique gift will be to give you ideas of how to enhance the way you feel about your home and yourself. 3 Delicious Valentine Cake Recipes!